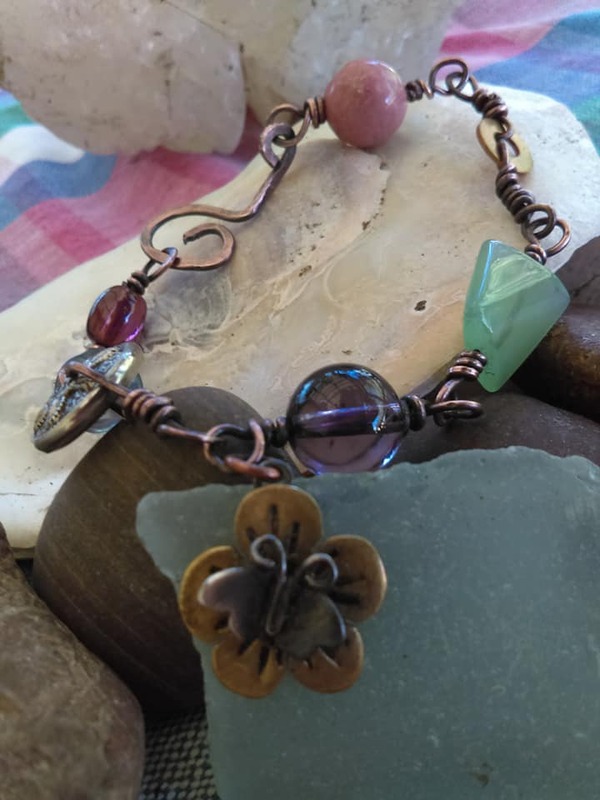 Join Jewelry-maker, Joni Bour, at Coos Art Museum on Saturday, October 21, 2017 from 1:30 pm to 3:30 pm for “DIY Linked Charm Bracelet” Learn to make linked charm bracelets using repurposed vintage buttons, new or vintage beads and/or repurposed vintage jewelry pieces. Participants will learn a variety of jewelry making and wire wrapping techniques including how to make clasps. Participants are encouraged, but not required, to bring their own special beads, buttons or other components that they may want to incorporate. These thinks may include broken jewelry or other special little bits and pieces they may find in their jewelry boxes. All supplies and tools will be furnished. Teens and adults of all skill levels are welcome. Class size is limited to 20 participants. Class Fee: $30 CAM members / $35 non-members. Registration ends October 21, 2017. For registration go to www.coosart.org or visit Coos Art Museum at 235 Anderson in Downtown Coos Bay.